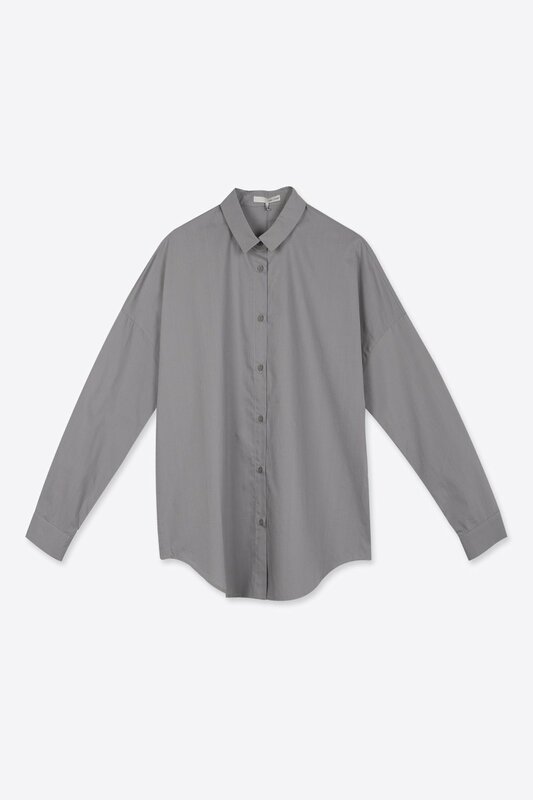 A renowned minimalist piece, this simple button-up offers multiple styling options and optimal versatility. 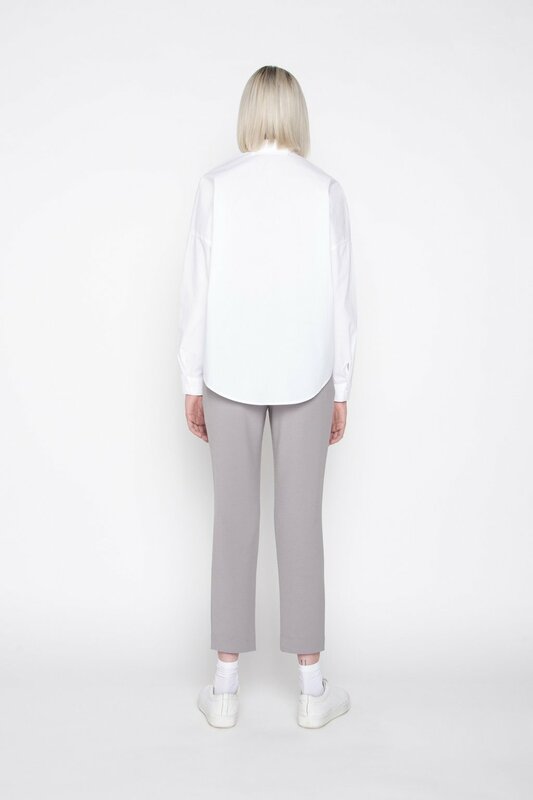 It features dropped shoulders, a classic collar, fitted cuffs, and front button closure. 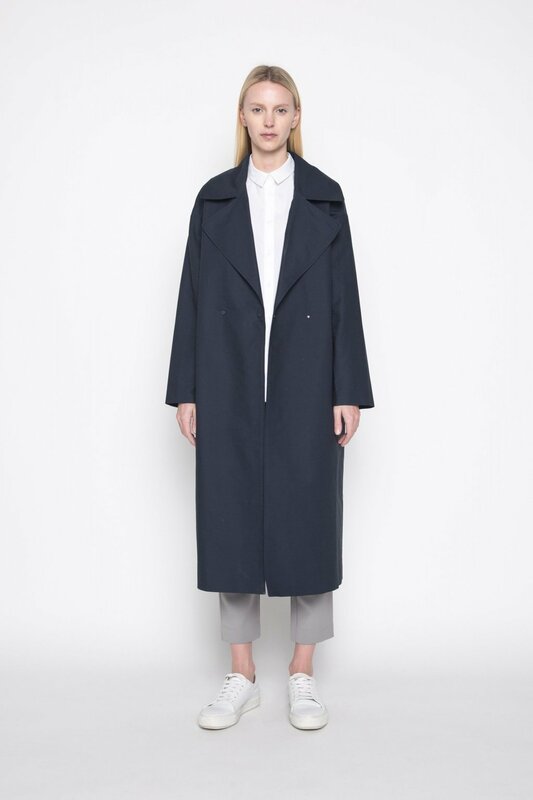 Pair with an oversized textured skirt for a mixed contemporary and sophisticated look.